The holidays of course are about family, friends and the joy of giving gifts! When you have out of town guests in your home, its always nice to give them a little welcome gift in their room. We don’t get guests often, but when we do, we like to have a little basket set up in the guest room so they feel right at home. We typically do a basket in the guest bathroom with toiletries for both overnight guests as well as party guests as well. 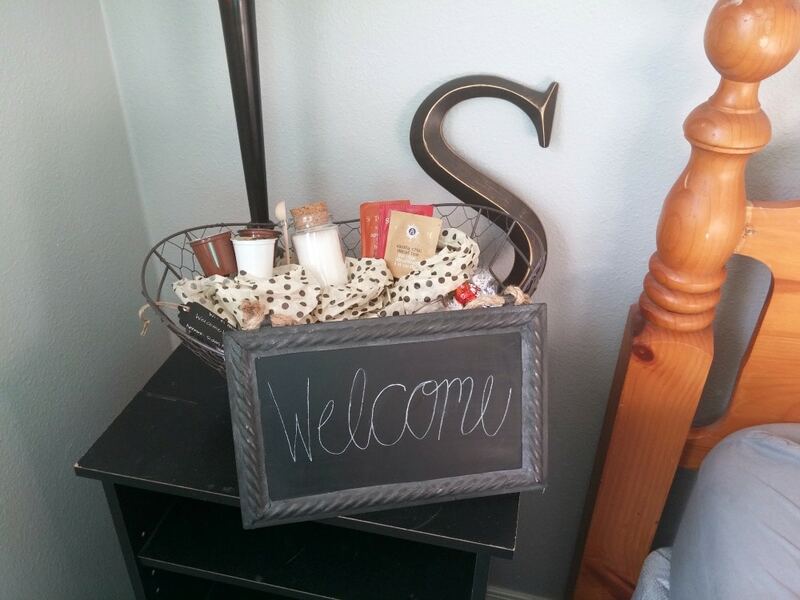 For overnight guests though, you need something a little more inviting and cozy. 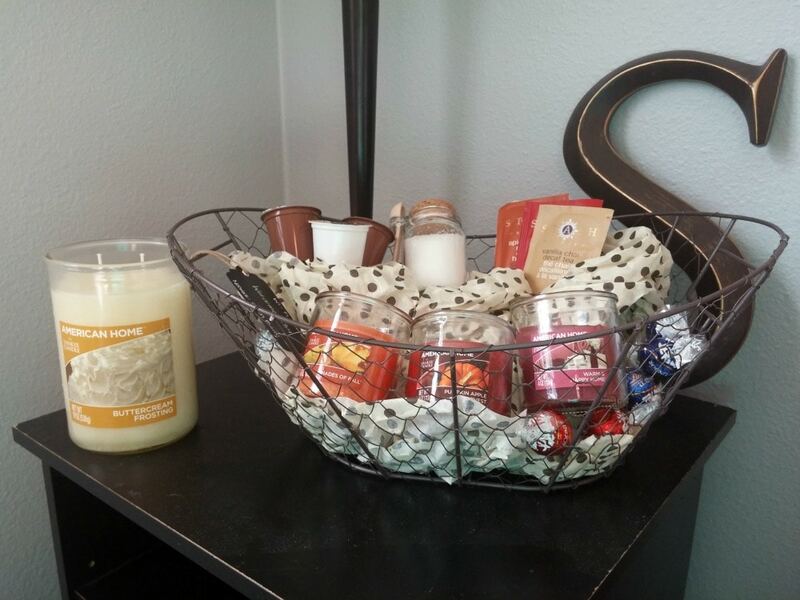 I found these American Home™ by Yankee Candle® brand jar candles at Walmart and they are perfection for our welcome basket. I also bought the basket itself from the craft supply section for just $4.99. Its the perfect basket at a really great price. (These candles are also available on Walmart.com, check out the Walmart assortment page here!). They have tons of lovely fragrances too. 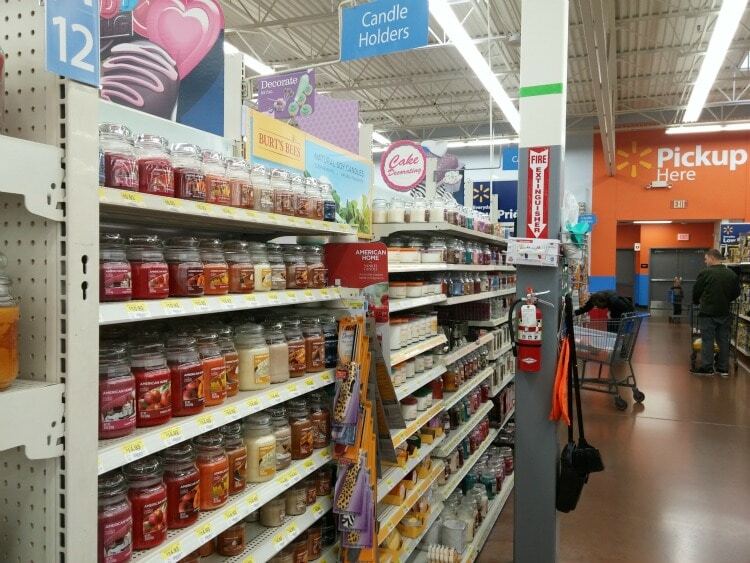 You can find them in the candle aisle at Walmart, which at my store is near the Site to Store pickup desk. I chose a large candle with a double wick in a universally pleasing Buttercream Frosting fragrance to use in the guest room (think of the thick white frosting you swirl and smooth across a cake—rich with vanilla and fortified with creamy butter….luscious!) and then I chose some lovely fall fragrances for my guests to take home in their basket. The large candle is only $14.93 and the small ones are $4.93 so they are totally affordable. My goal here is to make the guest feel welcome, pampered and comfortable in our home as well as taking home a little memory of their stay with us as well. I like to include items that will make their stay more enjoyable. I never know if my guests will wake up in the middle of the night and want a soothing cup of tea, or wake early in the morning before me looking for a steaming cup of coffee. I know guests often don’t feel comfortable digging around in the kitchen (even though I always tell them to feel free to help themselves to anything) so I like to include some tea bags and k-cups in the basket so they know that they are welcome to enjoy a warm beverage. I also include a few chocolates (not on the pillow, hahaha!) in case they have a sweet craving. 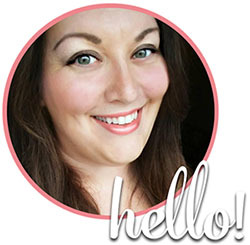 The key to creating a personalized welcome basket is putting yourself in your guest’s shoes. When you travel, what sort of things make you feel at home? Have you ever been a guest in someone’s home and felt awkward asking for a snack after dinner? Maybe you always take a candlelit bath at night before bed, but when you’re a guest you feel funny asking for candles and bath salts? Whatever you think would make your guest feel pampered, that’s the way to go! *Candle Tip: When you burn your candle, always trim the wick to 1/8″ for safety and let the candle burn long enough so that the entire top is a pool of melted wax. This will help your candle burn evenly and prevent it from becoming a wax chasm with a wick buried way down at the bottom! This basket also contains an adorable little jar of home made bath salts for them to enjoy after their long day of traveling either in my tub or theirs! 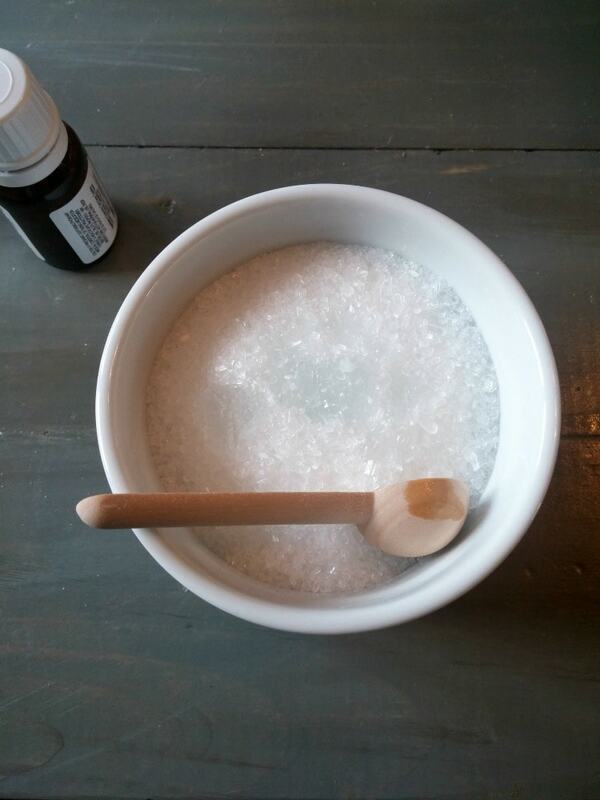 Speaking of bath salts, its incredibly easy to make them in any scent you like. I suggest using essential oils rather than artificial scented oils simply because there’s less chance of allergic reaction to something natural than something with a boatload of ingredients. Stir together ingredients until well-combined. You could add coloring if you wanted to, but I don’t simply because I don’t know if my guest is allergic, or if it might stain their tub or towels. Alternatively you could also turn this into a salt scrub by adding coconut or vitamin E oil! This recipe makes a lot more than my little one-bath-jar will hold so you can store the rest in an air-tight container for your next guest, or treat yourself to a little soak once the guests leave! It doesn’t have to be fancy or expensive, even little touches like this will help your holiday guests feel welcome in your home. In fact, they might not want to leave! With a basket like this, you’re sure give them a stay they will remember fondly. 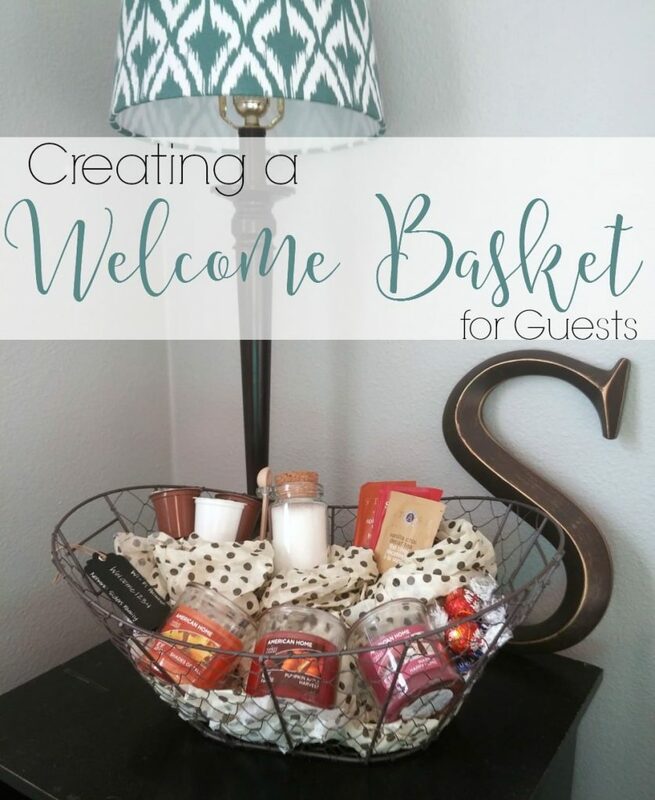 What other ideas do you have to put in a welcome basket?